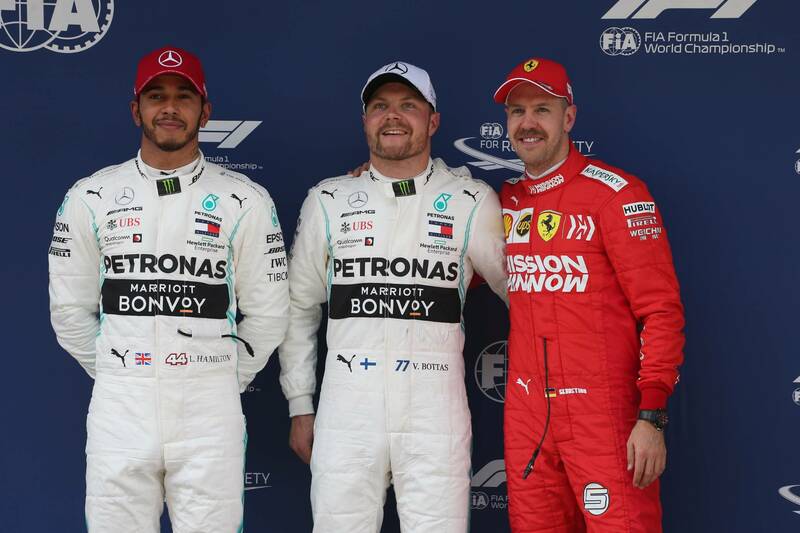 We may not even be three races in to the 2019 Formula 1 season, but the pendulum has already swung quite considerably between the grid’s leading teams and drivers. Australia saw Mercedes dominate, led by Valtteri Bottas as he crushed the field and won the race by 20 seconds, sparking suggestions of a revamped ‘Bottas 2.0’ – or, following his parc ferme chat, ‘Porridge Boss’ Bottas - following his 2018 struggles. That then all changed in Bahrain. Ferrari rose as the dominant team, only losing a one-two after Charles Leclerc’s heartbreaking engine failure and Sebastian Vettel’s mistake, while Mercedes struggled to keep up. Bottas was particularly off the boil, appearing to step back into the shadow of teammate Lewis Hamilton he had spent much of last year in. 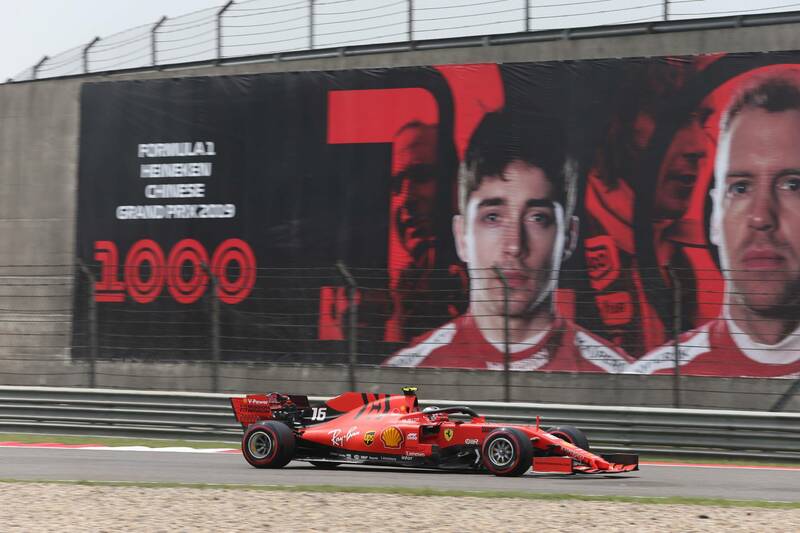 But on Saturday in China, qualifying appeared to swing things back to as they were in Australia: Mercedes quickest; Bottas supreme; Ferrari left scratching its head as to where its pace had gone. China was always expected to be a truer reflection of where things stood after contrasting track layouts in Australia and Bahrain. Once again though, Mercedes’ strength through the corners showing. Ferrari really struggled to get the SF90 car hooked up enough so that its straight-line speed advantage would be enough to edge ahead of its silver rivals. Even in the final sector – the long-right hander onto the back straight to the chequered flag, where Ferrari was supposedly mighty – Mercedes held the two quickest times in qualifying. Hamilton gained two of the three-tenths back to Vettel in that sector alone. This was despite Ferrari enjoying a 7 kp/h advantage in the speed trap, showing just how good the Mercedes was under traction and, crucially, sweeping through the tricky final corner. Both Ferrari drivers were left frustrated after the session. Two races and three qualifyings down this year, and Ferrari is still struggling to replicate the ominous form it showed through pre-season testing - or even understand just where it has gone. “I think we have a strong platform to work from,” said Vettel, looking for an upside. “Obviously we started off well from Barcelona, and the feeling was really strong. Since then, I think we struggled a little bit to repeat that. While Lewis Hamilton was able to recover from a difficult set of practice sessions to take second on the grid after some adjustments, Bottas once again looked supreme at the front. The strength seen in practice carried over to qualifying, with the Finn’s only slight wobble curiously coming in his pole lap. “I honestly struggled a bit in Q3 to get the perfect lap,” Bottas said. “The lap was OK, not completely how I wanted. Luckily it was good enough for pole. Bottas was at risk of losing pole to Hamilton in their second runs as he struggled to improve on his best sector time early in the lap. Hamilton was still a couple of hundredths up even as Bottas found some time in Sector 2 – only to then do enough in the final sector to ultimately widen the gap for pole as Hamilton failed to improve his lap. Hamilton’s most impressive lap of qualifying actually came in Q2 as he finally put everything together with his Mercedes W10. Despite running on the Medium compound tyre – allegedly 1.1 seconds per lap slower than the Softs, as per Pirelli – Hamilton turned in a 1m31.6s lap that was just 0.06 seconds slower than his best time on Softs in Q3. Bottas managed a 1m31.7s, with both of those efforts being good enough to still beat the Ferraris had they been set in Q3. Mercedes’ strength on the harder compound tyres was clear in the early part of last year, and the trend appears to have emerged again this season. Pre-season testing saw the team recover from big issues with the softer compounds, but even in Bahrain, we saw how Hamilton struggled on the Softs before making time back up on Mediums. Like its predecessor, the W10 is more comfortable the harder the tyre gets. We’ve seen in previous years just how important tyre management is in China. For Mercedes, stretching its legs on the harder compounds could be the key to beating Ferrari and continuing its near-perfect start to the 2019 season. Ferrari will be hoping its speed trap advantage comes in handy tomorrow, especially down the back straight and with the added oomph of DRS this year. But if it can’t keep up with Mercedes through the twisty stuff, it may not even get the chance to put it to good use. As the wind continues to be taken out of Ferrari’s sails, Bottas remains buoyant. We saw last year in China just how good he can be around this circuit. And if he can keep his cool and make it two wins from three tomorrow, it will only add to the early momentum that could spark a title challenge.